Select one out of 600 pre-designed templates sorted into 24 categories and start editing it into beautiful emails that convert — that create real profit. 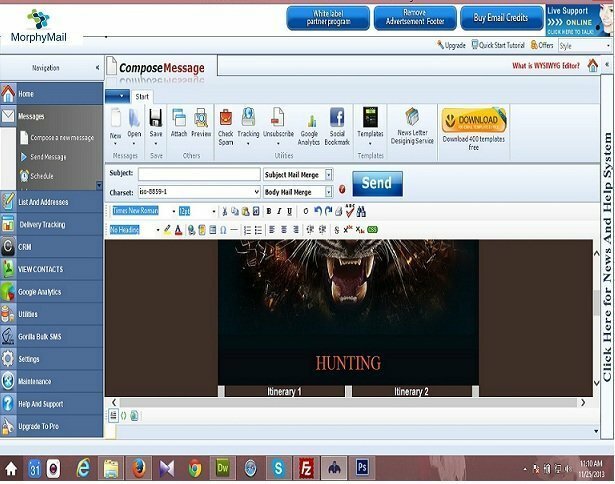 Creating a layout with MorphyMail embedded email editor is so easy to do that you will love editing. Embedd autoplay videos which plays automatically when email is opened. Know whether your emails will be delivered into inbox or spam folder before sending and optimize your content using suggestions for 100% Inboxing. Social Sharing buttons to include in your content of over 24 social media sites including facebook, twitter, linkedin , pinterest, reddit etc.. Send personalized emails (“Dear Mr. Ann Joe”, instead of “Dear customer”). Each email you send is unique by using the mail merge and mail personalization features. Generate newsletters with attachments and embedded images. Each email message can contain file attachments (Zip, Doc, Pdf…). Building your permission based list is easy with website forms integration. You can create customizable web forms for your site to let your users subscribe in a few clicks; then record all collected data in one or more lists, to which you can send separate messages. MoprhyMail can automatically manage subscriptions (and unsubscriptions), Each list can be associated with an e-mail address: when an email message with “Subscribe” in the subject line is sent to this e-mail address the sender is added to the list. If the subject is “Unsubscribe” instead, the sender gets deleted (if he/she had previously subscribed). MorphyMail newsletter software downloads new email messages from the POP3 account, verifies the subject and updates the related distribution list. Bounce-backs are automatically recognized, and originating addresses can be either disabled or deleted from the lists. Define lists of addresses or domains which will be automatically excluded from mailings. Unlike other email service providers, MorphyMail donot restrict users based on number of contacts. You can create unlimited lists with unlimited recipients in each list..
MoprhyMail provides scripts for website forms for both ASP and LINUX(PHP) based websites. You need to copy the code to your contact us page in website and customize the fields to collect form data. When your website visitor enters the data , it is imported into separate lists in your MorphyMail automatically. 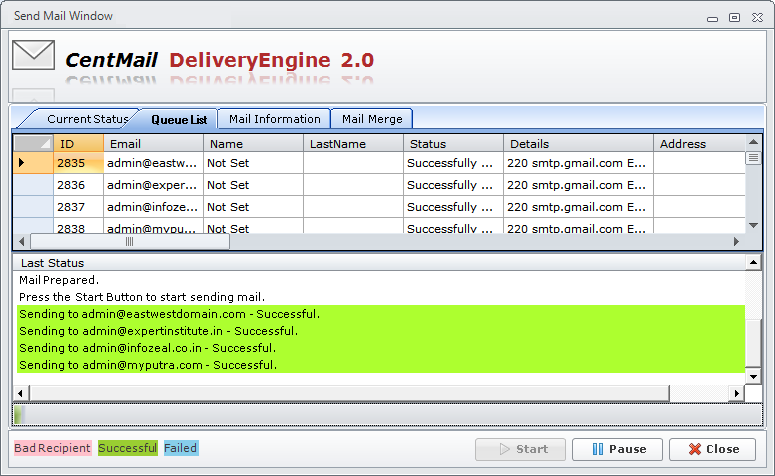 MorphyMail allows you to import contacts with full fields from MS Excel, Clipboard, POP3 email accounts, .txt files , MS SQL and MySQL databases using the CRM section etc.MS Excel csv files with multiple columns like first name, postal address etc can be used for subject and email body personalization. You can filter contacts in your list using various options , select multiple emails and mark it as unsubscribers, copy paste and delete mass emails with a single click. You can set multiple SMTP configurations. 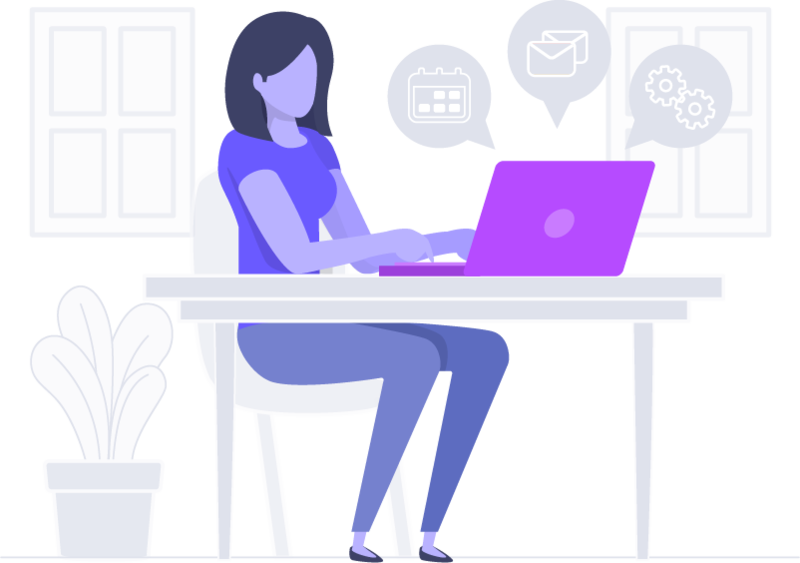 While mails are being send, smtp will rotate after each email, allowing you to send more emails if a single smtp have limitations on the number of emails sent. Morphymail has automatic duplicate filter which prevents sending emails to duplicate addresses. Now users can create a campaign and let Morphymail send it later automatically, at a given day and time. Incase your campaign sending gets interrupted due to internet connection break or computer crash or mail-pause button click, you can resend the campaign where the emails only goes to the non-send addresses in the previous mailing. Morphymail sends email by establishing 50 simultaneous connections so that you get increased speed of delivery than any other email marketing software. You can see which all mailings have you done in the past and its statistics without leaving the software. This will let you organize your future mailings effectively. Check your campaigns opens, click rates and conversions using Google Analytics powerful tools. You will be able to know how many sales got for your business from each email campaign by putting the conversion code on thankyou page of your website where visitor reaches after making the online purchase. You can view detailed graphical track reports of opens, clicks and geolocations of your recipients from our delivery tracking portal www.deliverytracking.center . From our free email delivery tracking software – www.deliverytracking.center you can export opened email addresses and clicked email addresses to ms excel for sending followup campaigns only to people who have opened / clicked your first mailing campaign. More than 500 Optimized templates created by our graphics designers included for creating beautiful email newsletters. Create, send and tracking UNLIMITED email campaigns for Free with lifetime validty. We setup amazon ses (smtp server from amazon) 100% free to all our users. 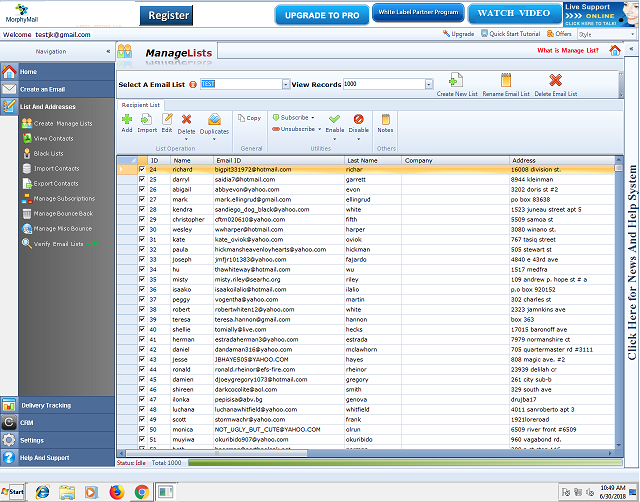 All your email lists are located in your PC without the need for third parties. 100% Privacy and 100% Security. Create beautiful layouts using our brand new HTML editor with video embedding functionality included. We offer paid addons for Morphymail – Lead Generation Addon, Bulk SMS Addon and Bulk Whatsapp Addon.